For a company with such a cute mascot Qantas is not endearing itself to the largest growing travel population in the world. WA Disability Services Minister Margaret Quirk has called on the airline industry to stop operating in the dark ages after a series of incidents of discrimination. She was responding to reports that Qantas was forced to apologise to a 72-year-old customer who was refused a wheelchair from her car to the airport terminal. 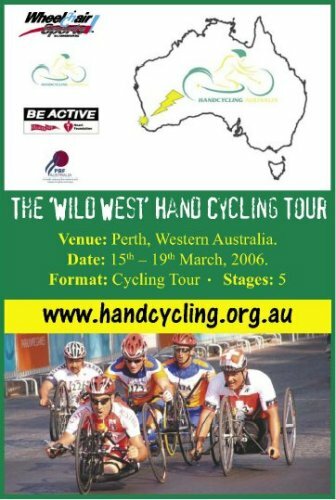 The stage is set -- five stages to be precise -- for the Australian Wild West Handcycling Tour. Stage one runs through Perth's beautiful King's Park overlooking Swan River and its flotilla of sports sailors. Other stages include Chittering Valley, Brigadoon Hill, Barbagallo International Raceway, and a run along the freeway from Perth to Joondalup. What's unselfconsciously barrier-free for wheelchair access, has UD-flavored lever faucet handles, and turns the water closet into a gardening experience? The world's population bulge matures into the leisure years of travel. Meanwhile they increasingly experience the bodily diminishment that can accompany aging - Boomers are buying travel. Rather than understanding the business opportunity shortsighted airlines repeat the mistakes of Ryan Air, Qantas and others. The latest in the saga of shame is South African Express Airways. Read Maureen Marud's "Disabled Woman Ordered off the Plane"
Continue reading The Metastasis of Mischief: South African Express Airways Adopts Injustice as a Business Policy. Well you can get off the plane in Aruba but what can you do once you get there if you use a wheelchair? Significant investment and expansion, to the tune of over $34 million, is underway at Queen Beatrix International Airport ( www.airportaruba.com ). The airport’s growth plan includes the installation of elevators to make the facility more accessible for disabled travelers. Continue reading Aruba Invests in Tourism: Accessiblity Enhanced in the Airport. Ken Hames, Brian Bartlett, and several Himba people from Namibia were among the select group of celebrants at the mouth of the Uniab River on Namibia's Skeleton Coast following a gruelling trek across Namibia by wheelchair. Read the account at AllAfrica.com and wait for the video to be released by Diverse TV. Universal Design is becoming ever more the norm but certain projects and proponents distinguish themselves as they mature the language of UD. A very important linkage signalling that maturity, made prominently at Adaptive Environment's Designing for the 21st Century III, is between sustainability and Universal Design. Access Living and LCM Architects are to be commended for innovation in combining LEED & UD to create a new center for Access Living. Winner: The Original Tour The award was presented to Joanna Bachelor, International Sales Manager. The Original Tour has been providing open top bus tours to London’s visitors for 55 years and in 2005 enhanced its reputation as a market leader by investing over ￡1.6 million in a new fleet of specially designed open top vehicles. This new fleet of tour buses not only helps the environment by exceeding all planned and current emissions standards but also offers unparalleled accessibility with, for the first time, dedicated spaces for wheelchair users. Universal and Sustainable Design together again. Imagine this: Traveling among Governors Island, lower Manhattan and Brooklyn in an apple-shaped gondola that offered spectacular 360-degree views of the city and New York Harbor. The sky tramway - akin to those used at ski resorts - could be part of a dynamic new plan to redevelop Governors Island, Mayor Bloomberg said yesterday. City and state officials made a public appeal for visionary proposals to preserve and redevelop the 172-acre island, located a half-mile from Battery Park in the harbor. The proposals are due May 10. Continue reading New York by Gondola Plan Includes Space for a Wheelchair. I struggle to translate Christiane Link's site, Behindertenparkplatz, every time my Google Alerts send me a note that there is something there that I would appreciate -- if only I had not forgotten all my college German. Maybe it was listening to the German resonances in the Yiddish dialogue of Mark Harelik's touching play The Immigran at the San Jose Repertory Theater last night but probably it was the fact that Katja Stokely translated the challenge but I gave it another try. Here is her invitation (in German) and my response in English. Continue reading Tagged with the Barrierfreiheit Meme. On layover at Heathrow today. B-o-r-i-n-g! Are we seeing a pattern here or do we need I.F. Stone to explain it to us? Singapore is well on its way to providing accessible bus service for citizens and tourists. Judy Wee has been an effective advocate for both. Read this article in Today Online about how one person is making international impact on inclusive destination development in Asia. Universal Design advocates around the world offered their expertise to FEMA and their subcontractors. Here is an article from the Clarion Ledger dated February 5, 2006 that demonstrates the mismanaged opportunity more clearly than the many article in the Rolling Rains Report. Our first experience with travel trailers on the Gulf Coast was that people with disabilities were requesting them, but not receiving them. After months of asking, in December 2005, we were finally able to tour travel trailers and mobile homes being issued by FEMA to people with disabilities. Contrary to Mr. Russo's claims, the travel trailer is not compliant with the Americans with Disabilities Act. FEMA representatives told us that it was an "ADA-friendly trailer." There is no way someone who uses a wheelchair could live in one of these travel trailers: The bathroom is not accessible, nor is the kitchen. On Dec. 14, 2005, FEMA informed us there were 18 ADA-friendly trailers, 179 "park model" mobile homes and 340 ADA 70-foot mobile homes being occupied for a total of 537 - not the 950 Mr. Russo claims to have in place. We contend that these mobile homes are not ADA accessible either, as there is limited space to turn a wheelchair, unreachable thermostats, unstable shower chairs, and many other unacceptable aspects. And, the mobile home parks and "tent cities" are paved with gravel which creates a big problem for users of wheelchairs. Qantas wheelchair ban prompts discrimination call by Tanya Hornberg. ABC News Online reported on February 2. You have seen me mention Darren Hillock and his Get Around Guide several times. It just keeps getting better! Continue reading Darren Hillock's Get Around Guide. UI Garden generally concerns itself with issues of inclusivity in the design of online information. As such it is a valuable resource. Here however they have forayed into the area of universal design in vehicles in a discussion that lends itself to note in the Rolling Rains Report on Inclusive Travel. UI Garden has reprinted the 1997 article, A Car for All - or Mobility for All? 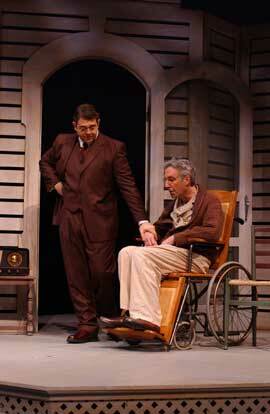 Part I, by Universal Design expert Roger Coleman and Dale Harrow iin both English and Chinese. Continue reading Weaving Usability and Cultures. The Boeing Inflight HQ Blog advertises itself as covering "Tools, Tips, and Techniques for Inflight Productivity at 30,000 Feet." So far, this business travel blog has not looked explicitly at inclusion or universal design -- but give them time. The folks associated with this blog are also sponsoring the Blog Business Summit in LA on March 16. The availability ofquality information to travelers with disabilities is key before, during, and after a holiday. For those involved in creating usable, accessible online information compliance with standards assures the broadest range of access. Bunnyfoot Universality specializes in consulting on the creation of such sites. Candy Harrington has posted a list of accessble travel resources at the Boots 'n All travel network. What Can You Recommend in Spain? I never know that I wanted "ununterbrochene Servicekette" until I read Hartmut Smikac's comment in Polibea Turismo. Harmut is Director of the Nationale Koordinationsstelle Tourismus für Alle in Duesseldorf, Germany. We demand the "ununterbrochene Servicekette" (unbroken accessible service chain) in Germany . The heart of the idea of the "unbroken accessible service chain" is to offer accessible circumstances from information about destinations and venues over places of arrival, accommodation, visiting sights, museums, restaurants and so on, till departure. Visitors would expect an as far as possible unbroken chain of accessible hotels, restaurants, sights and attractions till the possibility to go for a stroll through streets and shops of a town. BBC has a resource page on travel accessibility. A guide on Spain for travelers with disabilities was published last month. This Guide provides information and contact data which help travellers with special needs planning their own tourism activities and/or trip: tourism related addresses, disability related addresses, cultural and nature tourism attractions, transport info, venues, lodging and accommodation all over Spain. We, the Polibea Turismo team, hope we have done a fair bit of work which is a useful tool and source of information for the disabled community and empowers the progress towards accessible tourism, tourism for all, universal tourism: finally, high quality tourism. Printed format: 15 X 21 cm. communities, by tourism professionals, and by travelers themselves. Wheelie Easy Travel of Australia sent this notice of the upcoming "Wild West Handcycling Tour"
This event will be the biggest of its kind in Australia and will be the first race of the Handcycling Federation's World Cup Series, which will include races in Europe, South Africa and USA. The tour will showcase some of handcycling's best riders in the world, including many of the medallists from the 2004 Athens Paralympic Games. The Universal Design/Sustainability connection reaches out for a new market in this initiative of two Spanish companies. Their initiative is aimed at the single, newly single, and Living-Apart-Together market. At the University of Minnesota, in the Tourism Center, there are several straightforward articles on Universal Design and Tourism. For more information about this trend and the Center's work, contact Ingrid Schneider at ingridss@umn.edu, 612-624-2250. The next Rolling Rains Travelogue will be to Italy. Here's an online tool that is making planning easier. The Mature Market offers this interview with Myriam Van Espen co-0founder of SeniorInnovation. And what about Universal Design? The Marin County Stroke Resource Directory collects many resources for barrier-free travel in Northern California. "I do not want to die here, because it's so ugly." The obvious, out of the mouths of the rich and famous, often gets a better hearing. Continue reading "I do not want to die here, because it's so ugly. ".